Sixty eight bouts were completed on Day 2 of the National Boy 1,2,3 Championships at the Stadium today. Please scroll down for results and corresponding draws from Dublin. Please note that the closing date for applications for Accounting Technician has been extended to April 30. Click on below attachment for details. Please see below attachment for weigh-ins for the Girl 1 to 6 Championships at Dublin’s National Stadium. Boxing begins on Friday May 3. The weight-ins will be held this Sunday at provincial venues. Note that entries will only be accepted through the provinces. Please scroll down for Day 1 results from the Boy 1,2,3 Championships at Dublin’s National Stadium. Forty six Boy 1 and Boy 2 preliminaries were completed at the home of Irish boxing. Ireland’s top young prospects will be out in force at the Boy 1,2 3 National Championships this week. 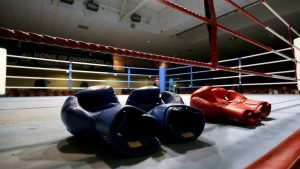 All boxers have come through demanding County and Provincial tournaments to have their names in the hat for the tournament.